Today there are numerous data visualization solutions.This course will transcend the various vendors, teach you how to find out which metrics and dimensions to look for. From distilling key performance indicators out of business objectives to visualizing them and create actionable dashboards. 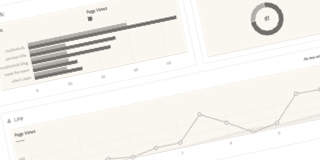 Data Visualization is more than just connecting a tool to one of your datasources or creating a Google Analytics dashboard. To come up with an actionable dashboard that integrates multiple data sources and has significant insights for its stakeholders has more to it. During this workshop you will be introduced to a best practice data collection roadmap which will allow you to report on streamlined and integrated data.